Imagine throwing a party for a few of your best friends and having more than a million people show up. That’s exactly what happened to XBTV, a digital content network that focuses on providing insight into the world of horse racing for high-end handicappers. 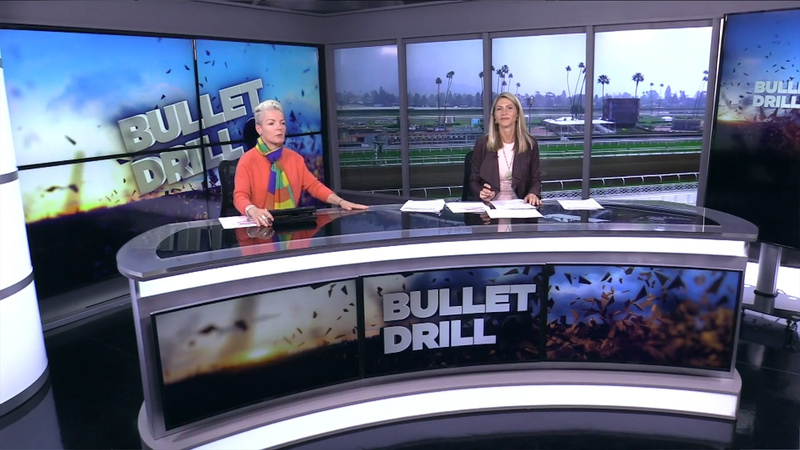 On the set of Bullet Drill at XBTV's Santa Anita Racetrack studio. XBTV content now reaches one million people a week. Although attracting a million extra eyeballs to their digital site might lead you to believe that XBTV was a stunning success right out of the starting gate—and you’d be right in thinking that —Kubel tells me that XBTV’s success isn’t predicated on the size of the audience. The service is judged on one criterion, increasing “handle.” That’s horse racing jargon for wagering dollars. By providing additional insight to high-end wagers, the hope was that XBTV would encourage high rollers to bet more. And using handle as its measure of success, Kubel says the service has been doing exactly what it was designed for. And what about all those additional dollars wagered by the unexpected crush of “Joe Average” viewers flocking to the service? Well, according to Kubel, that’s just gravy. Since XBTV isn’t trying to justify its monetary existence by attracting subscribers or selling advertisement, it can provide its service free of charge. Inside XBTV's control room underneath the grandstand at Santa Anita Racetrack in Arcadia, CA. So, you might ask, what sort of information and content is a $5-million-a-year wagerer looking for? Before XBTV started, the organization took a unique approach to discovering the answer to that question; they asked their audience directly. When your target is less than 500 people worldwide, face-to-face contact isn’t all that difficult. 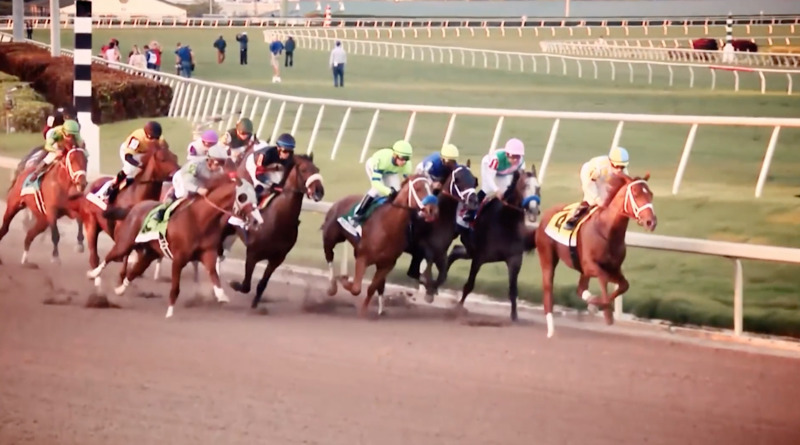 And XBTV received one overwhelming request from its client base; horseworks, another bit of horse racing jargon that refers to a racehorse’s workouts on the track in the days leading up to a big race. “We have cameras all over the United States,” Kubel tells me, “and we capture morning workouts with them. On any given morning, there could be hundreds or thousands of workouts across the nation, and we supply those workouts to our network on a daily basis. XBTV set under the grandstand at Santa Anita Racetrack. "I want our viewers to feel like they’re watching a top-flight network show,” says senior producer Steve Scheidler. "We completely underestimated the demand for what we're doing," says Phil Kubel, vice president of XBTV. 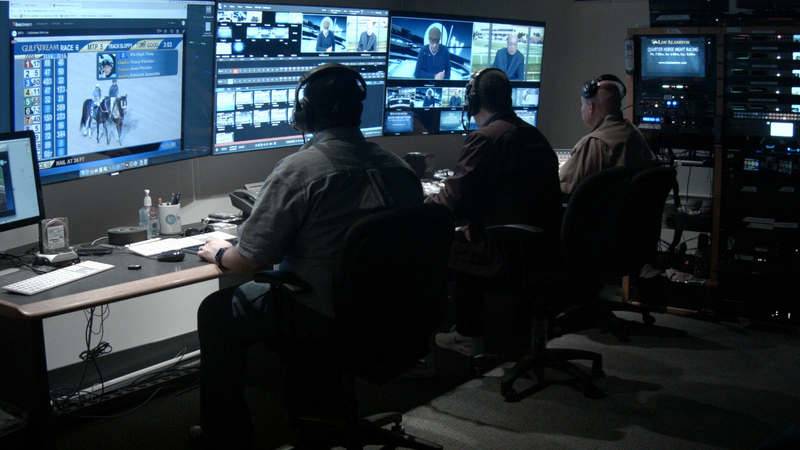 "TriCaster enables us to do what we do without breaking the bank." Network quality might not seem like an easy goal to accomplish, but according to Scheidler, XBTV is able to achieve this tough objective with the help of a secret weapon. 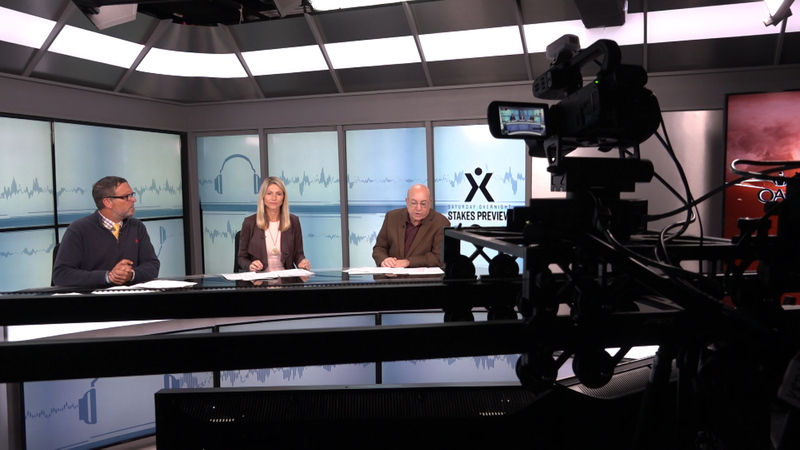 “NewTek’s TriCaster has allowed us to bring a level of quality to our productions that is hard to match.” Scheidler says. It’s a sentiment that XBTV Vice President Kubel echoes. 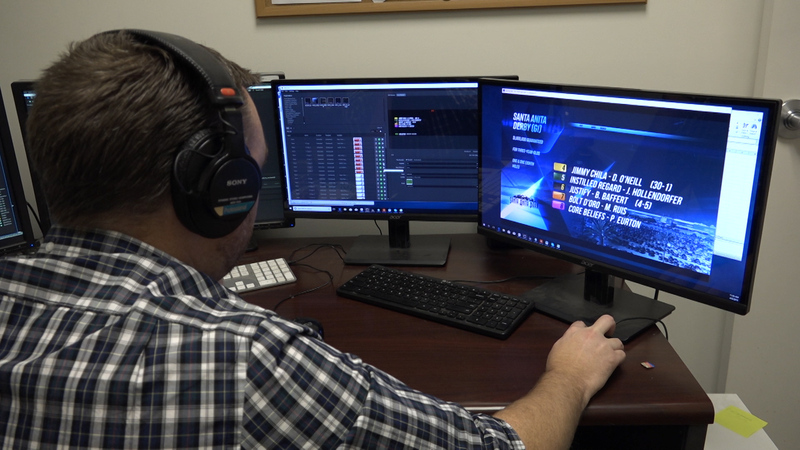 “NewTek products, most specifically the TriCaster, has enabled us to do what we want to do without breaking the bank,” he says. XBTV’s TC1 now lives in a control room hidden deep in the recesses of Santa Anita racetrack in Arcadia, California. Also hidden beneath the grandstands are two television studios, where XBTV’s studio analysis shows are produced. The studios are equipped with Sony cameras, and the main set features XBTV’s “Window on Racing,” a huge window incorporated into the set that looks out on all the action going on at the track. But in this case, the “window” isn’t really a window. It’s a massive monitor, fed by a live feed from the track. And not just the track at Santa Anita. Thanks to NDI®, NewTek’s revolutionary technology that allows production switchers, capture systems, and media servers to access any video source, regardless of location, provided that source is connected to the network, a live shot from Florida’s Gulfstream Racetrack or anywhere else on XBTV’s network can also be fed into XBTV’s window on racing. But that’s just one way XBTV is utilizing NewTek’s revolutionary NDI technology. 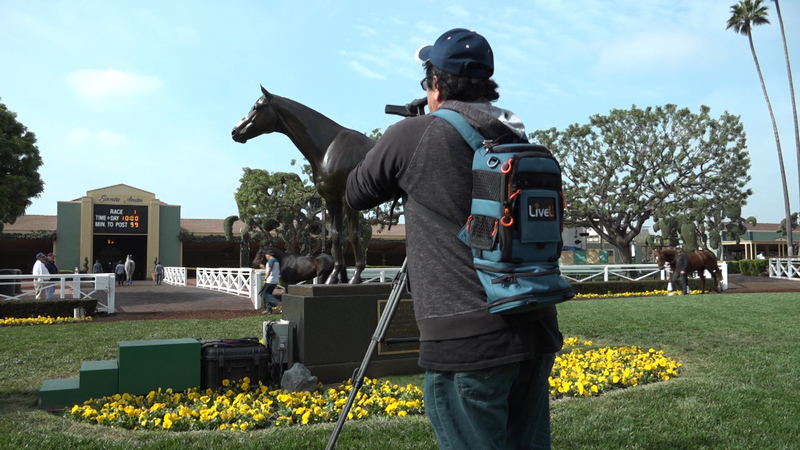 LiveU units use NDI to send remote signals from any track in the country to their control room in Santa Anita. 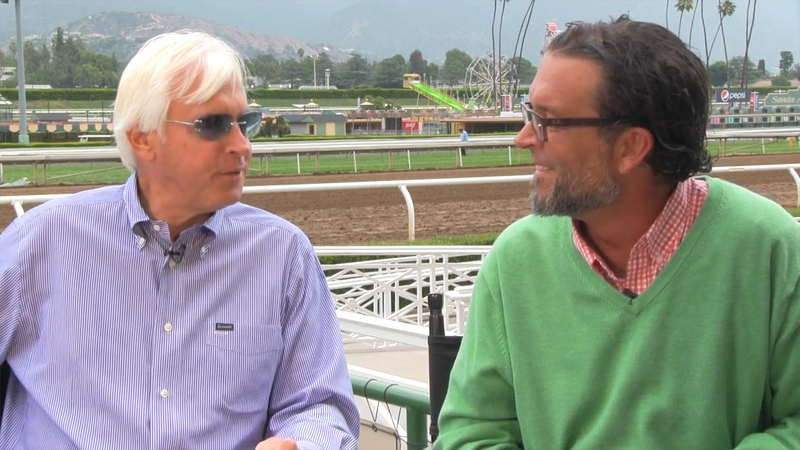 Two-time Triple Crown winning trainer Bob Baffert talks to XBTV. XBTV was also an integral part of the latest jewel in a horse racing’s crown of big events, the Pegasus World Cup. The Pegasus World Cup, which runs every January at Stronach Group’s Gulfstream Park in Hallandale Beach, Florida, is the richest horse racing event in the world, with a 16-million-dollar purse going to the winner. Any horse can enter the race, provided they fork over the $1 million entry fee. It’s a big stakes horse racing at its purest, winner take all.